More and more women that I work and engage with are looking to pare down and simplify their lives on all fronts. They are consciously looking to do more with less – especially when it comes their wardrobe. In addition, they seek to align with brands that serve a much greater purpose than just generating profits. When it comes to clothing, it goes a bit deeper than that. 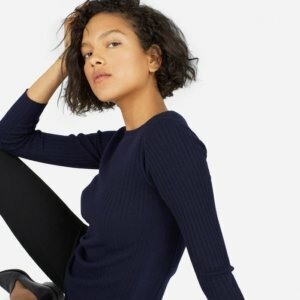 Socially-conscious women want their dollars to support ethical fashion companies that exercise sustainable manufacturing processes, use recycled materials, and pay fair wages. 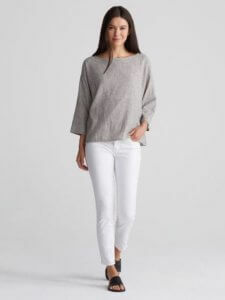 However, when going through this process of scaling down, many women find it daunting to not only downsize their massive wardrobes but to also replenish it with core, minimalist pieces from ethical fashion labels. The bottom line is that they want to accomplish this goal but still look chic – this task is not impossible! 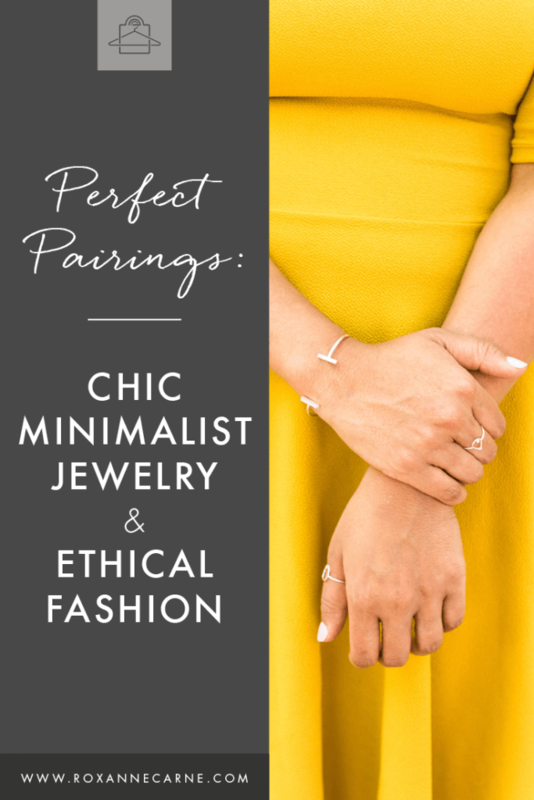 Here lies the perfect pairing of chic minimalism and ethical fashion. 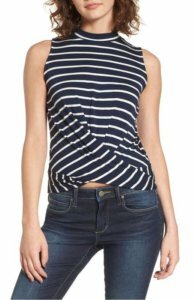 In its most simple form, minimalist fashion and style are centered on streamlined silhouettes and neutral colors. Basically, nothing with much fuss or nothing that’s too contrived. But this type of fashion isn’t limited to only garments, it extends to accessories, too! 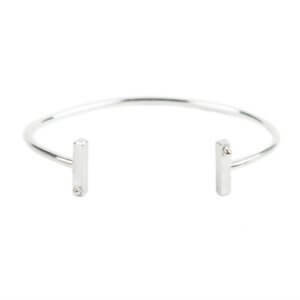 As some women aim to embrace a more minimalist look, it’s important to consider jewelry options. Remember that jewelry is often brought into the fold as either an accent or anchor piece to pull a look all the way together! The refreshing news is that this can still happen in the minimalist realm. As a Personal Stylist, I’m always on the hunt for fashion designers and lines that resonate with my audience and I’m excited to introduce you to a talented jewelry designer, Bev Feldman of Linkouture, that is rocking the minimalist jewelry space! Bev is a not only a jewelry designer, but she’s also a metalsmith who handcrafts minimalist eco-friendly jewelry for value-guided women. She believes in surrounding yourself with people and items that have purpose and meaning and wants to live in a world where women support businesses that align with their values – I love this!! Bev makes all her jewelry in her home studio just outside of Boston, MA. 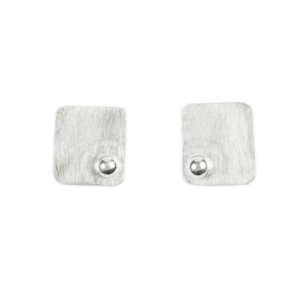 She focuses on creating pieces that are sustainably made, using primarily recycled or reclaimed sterling silver in her designs. How awesome is that? So here’s what’s really exciting! Bev just released her newest collection, Toula, just in time for the fall fashion season and you're one of the first to see it! The Toula collection features understated pieces that you can easily mix-and-match with each other giving you ease and options! I’m thrilled to share some of my favorite pieces from her collection with you. 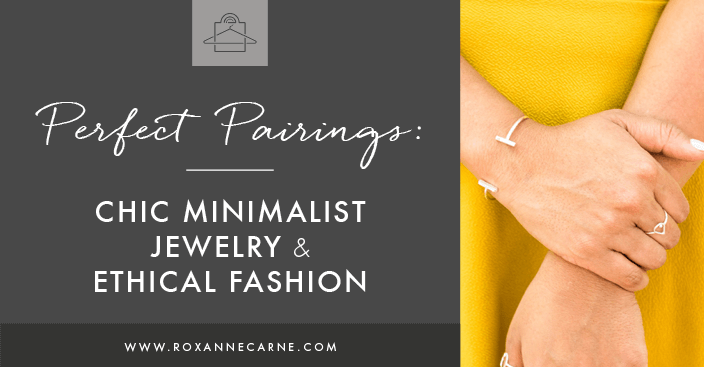 And of course, as a Personal Stylist, I’m also sharing my recommendations on smart minimalist garment pairings for each piece. Oh, and the best news? Bev is hooking my readers up with a great deal on orders (more details below). 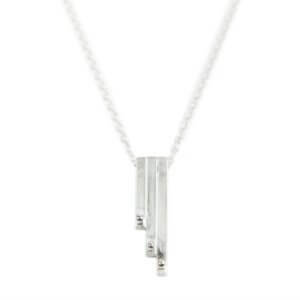 Bev’s handmade necklace features three sterling silver vertical bars in graduated sizes, soldered together to form a stunning pendant. 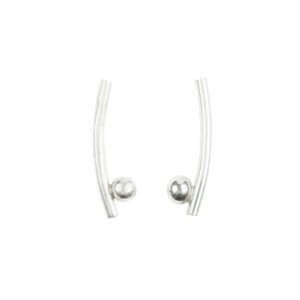 At the bottom of each bar is a hand-forged fine silver ball to give this piece the signature Toula line look. 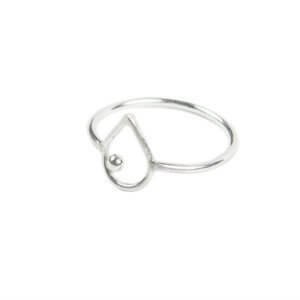 Own Your Signature Bev Feldman Jewelry Piece Today – SALE! Ladies, let’s support talented artists and small women-owned business like Bev Feldman’s Linkouture! Each jewelry piece is personally handmade by Bev which means that each item is 100% unique and some are even customizable! If you really want to set yourself apart with beautiful jewelry that’s not available to the masses, invest in upping your style with some of her pieces. For my readers, Bev is offering 10% off your first purchase so there’s no reason not to start your collection – sign up by clicking on the link below to access her exclusive offering! 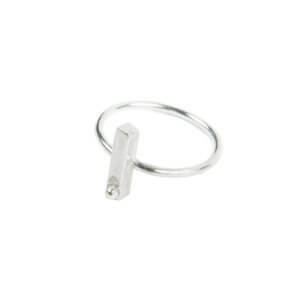 Enhance Your Wardrobe with Bev Feldman Minimalist Jewelry! I want to be ‘in the know’ – comment below to let me know which Bev Feldman pieces you’re getting to accent your minimalist wardrobe! Happy Shopping!